Hey guys, what’s up? 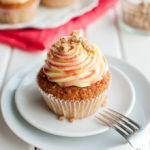 I though it was about time I shared with you one of my all time favorite recipes: my recipe for perfect vanilla cupcakes. You may have already seen these perfect little cupcakes in my post on flour (or ermine) buttercream, my post on Swiss buttercream, or my post on Italian buttercream. I’ve baked these cupcakes about a hundred times already, but somehow the recipe hasn’t made it onto the blog yet. Which is weird, because I love this recipe so much! If you ask me, it’s foolproof. These cupcakes ALWAYS turn out amazing when I make them. Which is why I gave this recipe to my sister a few months ago. You see, usually, whenever there is a birthday in my family, I’m on cake baking duty. Mostly because I like baking cakes and the role of birthday cake baker enables me to eat a lot of cake batter, but also because I like to make people happy on their birthday. With cake. But back in November, when my little niece who isn’t so little anymore turned eleven, Baby Boy was still snuggled up in my belly, due in a week, and needless to say my bump was just waaaay to big to bake a cake. Or do anything useful, for that matter… So, to make a long story short, my sister took it upon herself to make my niece 3 dozen cupcakes which my niece and I could then decorate with whipped cream and a lot of candy prior to the party to make a candy cupcake village. But. When my sister tried her hand at my perfect cupcake recipe, the cupcakes came out a bit different than I expected. They were not quite perfect, to say the least. Not that my sister minded, or my niece, who never even noticed that they were different than mine, but I was a bit shocked that my perfect, foolproof recipe could yield such different results! 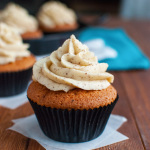 For these cupcakes, you’ll need 9 basic ingredients: unsalted butter, granulated sugar, an egg, buttermilk, vanilla, all-purpose flour, baking soda, baking powder and table salt. Make sure the butter is actually butter. Not margarine or shortening. And make sure it’s unsalted, or leave out the table salt if all you have is salted. 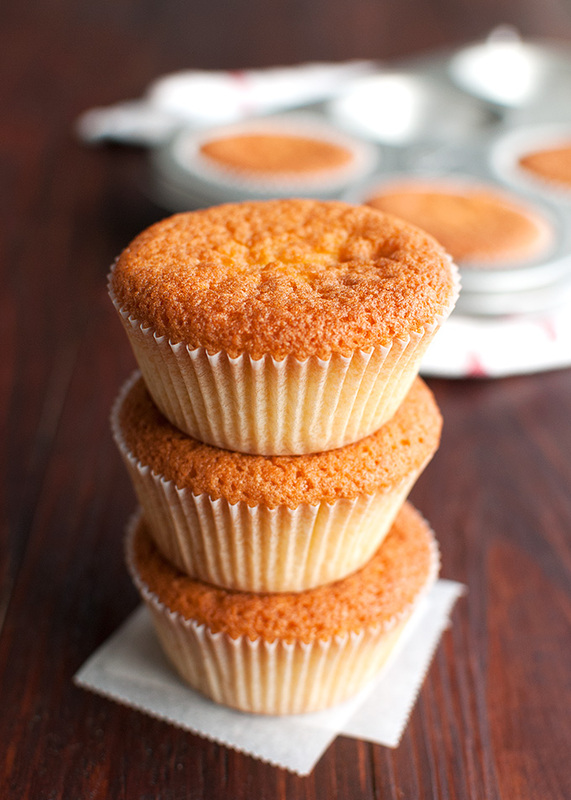 If you don’t have buttermilk, you can use regular milk, but the cupcakes will be a little less perfect, as the more acidic buttermilk makes the cupcakes deliciously moist. If you don’t have vanilla extract (REAL vanilla extract), run/drive to the store to buy some right now, because those cheap substitutes just won’t do. A vanilla bean is fine, too. Just cut it open, scrape out the seeds, and add it to the buttermilk before adding it to the batter. Oh, one more thing about the butter, soften it at room temperature before you begin mixing. This may take a while, depending on the temperature of your kitchen/living room/wherever you plan on letting the butter come to room temperature. I usually cube the butter to speed up the process. The butter needs to be soft, so you can beat it until it’s fluffy and creamy. The beaten butter should look like the butter in the photo above. See that pile of sugar in the bowl, underneath it is fluffy, creamy butter. Once the butter is fluffy and creamy, add the sugar and mix for about 2 minutes. The sugar doesn’t need to dissolve in the butter. 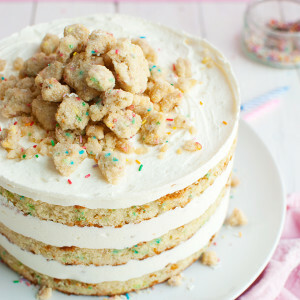 You want the mixture to be fluffy and light, but it’s okay if you can still see the sugar crystals. Once the sugar is mixed in, add half the egg. In the photo above I added the whole egg, because I’m an airhead, but ideally you’d want to first add half the egg (crack the egg in a cup, give it a good stir with a fork, then add half of it to the butter and sugar mixture), because the mixture may separate otherwise. 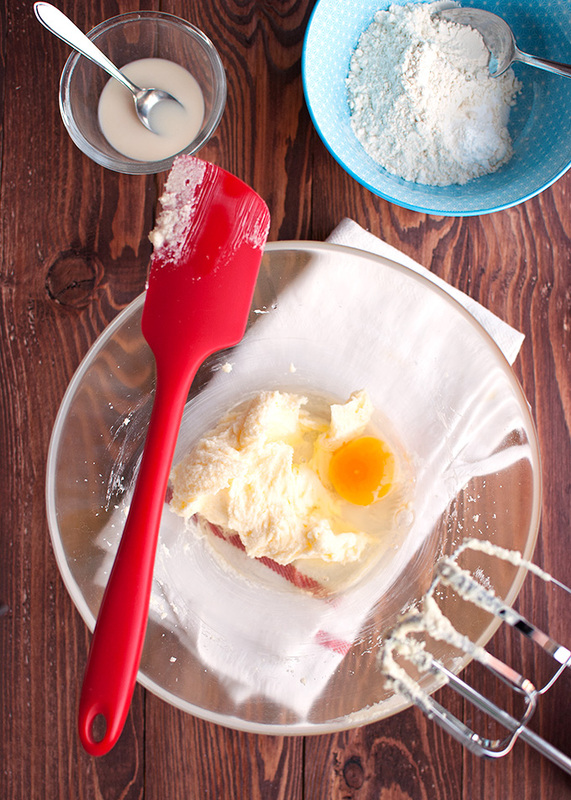 Mix until the first half of the egg is incorporated, then add the other half an egg and mix again for several minutes until the batter looks like fluffy buttercream (photo below). 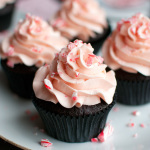 The sugar should have dissolved by now and you’ll have whipped a lot of air into the batter, which will make your cupcakes fluffy and gorgeous! 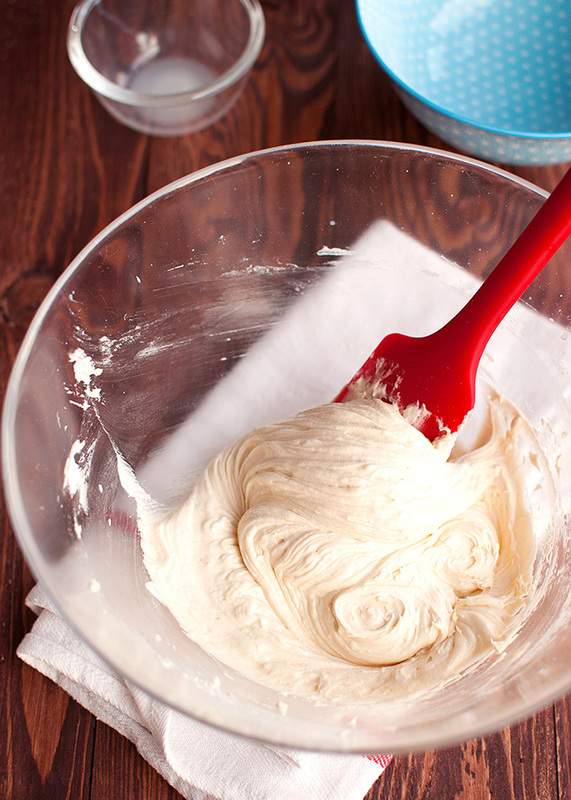 This is important, guys: mix until the batter looks like fluffy buttercream! Otherwise the cupcakes won’t rise properly. 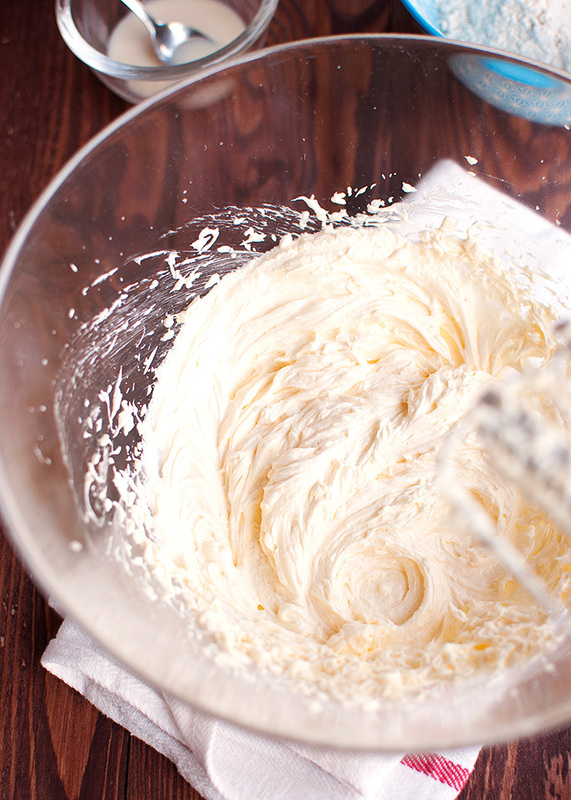 By the way, if the mixture looks like it has separated – which may happen if you’re an airhead like me and accidentally add the whole egg at once – just keep mixing until the batter comes together and starts to look like buttercream. You can even add a teaspoon of the flour to it, because this helps the mixture come back together again. Once the batter looks like buttercream, it’s time to add the dry ingredients: all-purpose flour, baking soda, baking powder, and salt (but only if you’re using unsalted butter). I usually mix the dry ingredients together in a little bowl before adding them to the batter, just to make sure the salt and leavening agents are evenly dispersed throughout the flour. Add the dry ingredients to the batter, then mix for about 30 seconds. Don’t overmix! Overmixing makes the cupcakes tough. 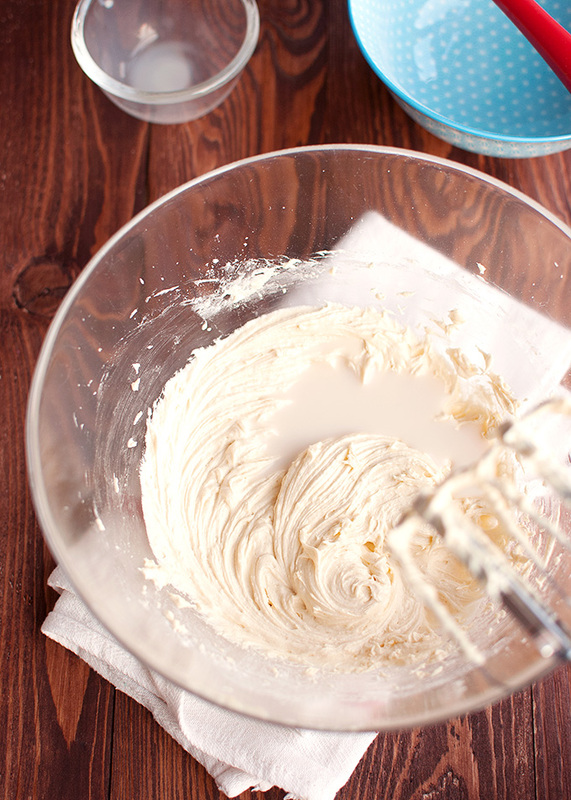 Once the batter looks smooth, stop mixing. Next up, the liquid ingredients: the buttermilk and the vanilla extract. Just mix those two in until incorporated. Again, don’t overmix. In fact, stir with a rubber spatula if you’re worried about overmixing. 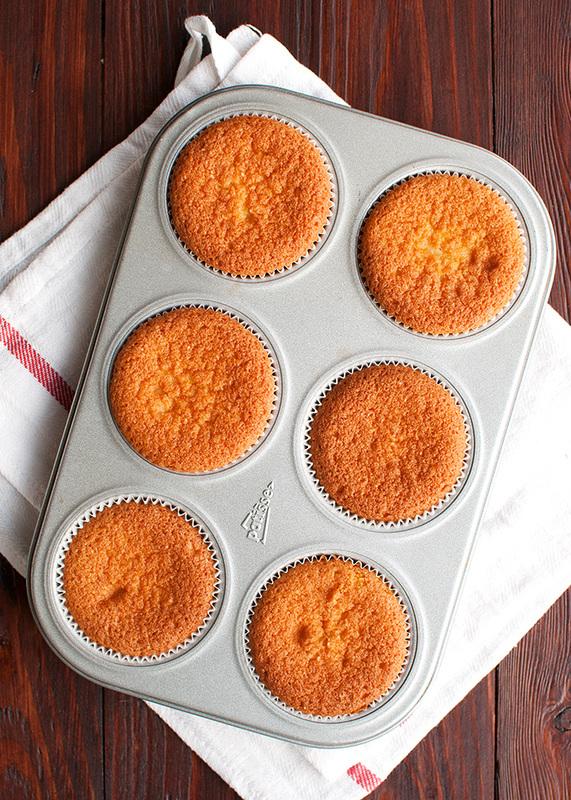 Line a 6-cup muffin pan with cupcake liners, and divide your gorgeous, fluffy batter over the cups. This recipe makes exactly 6 cupcakes, so dividing the batter evenly shouldn’t be too much of a problem. Each cupcake liner should be about two-third to three-quarters full. Bake the cupcakes in the middle of the oven for about 20 minutes, or until a tester inserted into one of the cupcakes comes out clean. By the way, you need to preheat the oven to 170°C/340°F (standard oven setting, so no fan). The slightly lower temperature (cakes are usually baked at 175°C/350°F) gives the cupcakes a little more time to rise before a crust forms, resulting in flat tops, perfect for decorating with buttercream. If your oven can’t be set to 170°C/340°F, just bake the cupcakes at 175°C/350°F. They might form a bit of a dome, but ah well…. Let’s not make baking the perfect cupcake too impossible. Allow the cupcakes to cool to room temperature before frosting them with, say, this delicious vanilla buttercream. 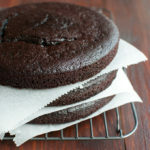 Or this amazing chocolate buttercream. 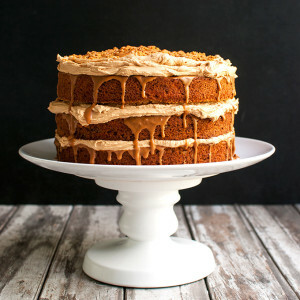 Oooor, this scrumptious caramel buttercream. Or have them plain. They are the best! That’s it, guys. 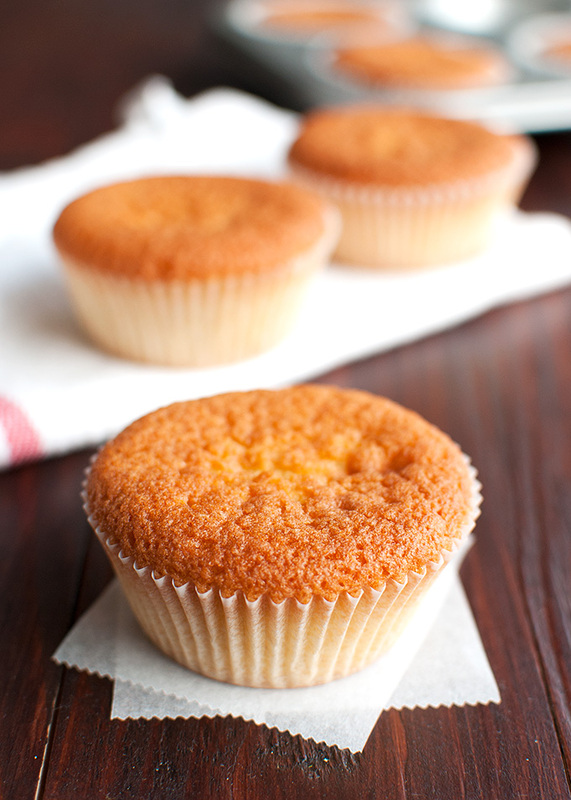 Now go make yourself some PERFECT vanilla cupcakes! 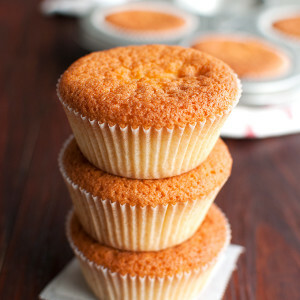 This recipe makes 6 cupcakes, but it can easily be doubled or tripled. Unfrosted cupcakes can be stored in an airtight container in the fridge for up to a week or in the freezer, tightly wrapped with a double layer of plastic wrap, for up to 2 months. Frosted cupcakes will keep, stored in an airtight container, for 3-5 days, depending on the frosting. I’m usually a little skeptical of recipes that have ‘perfect’ in the title, but these ARE perfect! 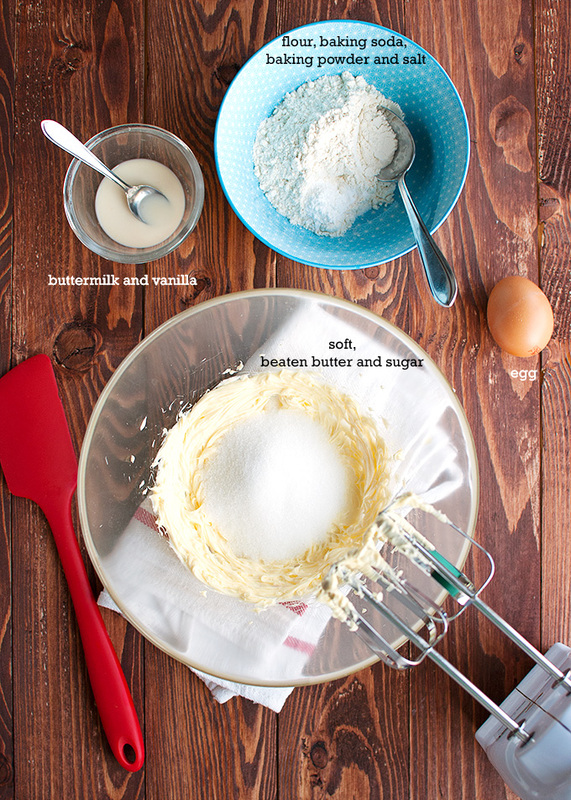 This will now be my go-to recipe for vanilla cupcakes. I made a batch of 12 today and frosted them with chocolate flour buttercream. Heavenly! I think the frosted cupcakes will definitely NOT last 3-5 days. I’ve just recently come across your blog. I headed over here after reading your ‘World of Buttercream’ article on Serious Eats. I’ll definitely be making return visits. 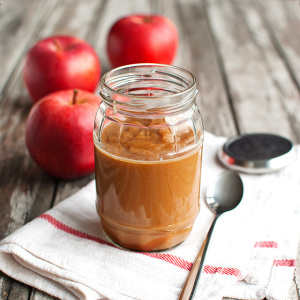 Thanks for sharing a great recipe that can easily be doubled or tripled. Perfect golden brown! <3 can't wait to taste it!